Photo property of the Sundance Channel. Ever wanted to know about what your favorite celebrities were like before they became famous? 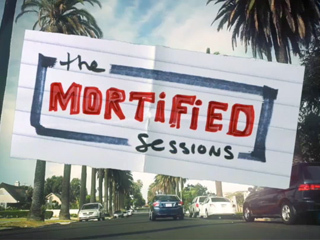 The Mortified Sessions will have all the answers to your questions. Host David Nadelberg sits down with a diverse group of celebrities as he talks to them about their childhood and awkward stages in life in a very hysterical manner. This season, the show will sit down stars including Bryan Cranston and Community’s Danny Pudi. New shows will air every Monday at 8 p.m. Eastern/7 p.m. Central on the Sundance Channel. I do not own these clips. They are properties of the Sundance Channel. these days. I seriously appreciate individuals like you! Taake care! !